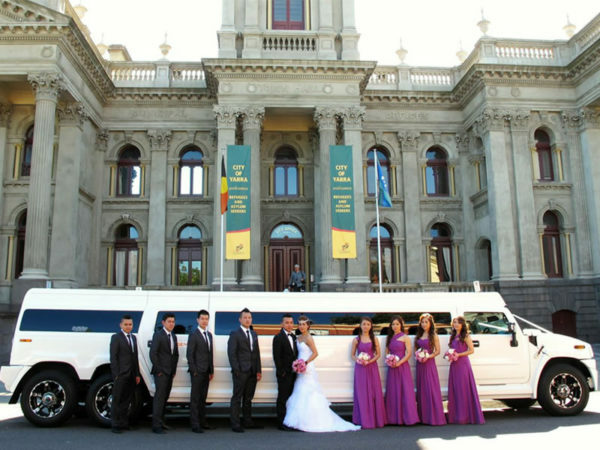 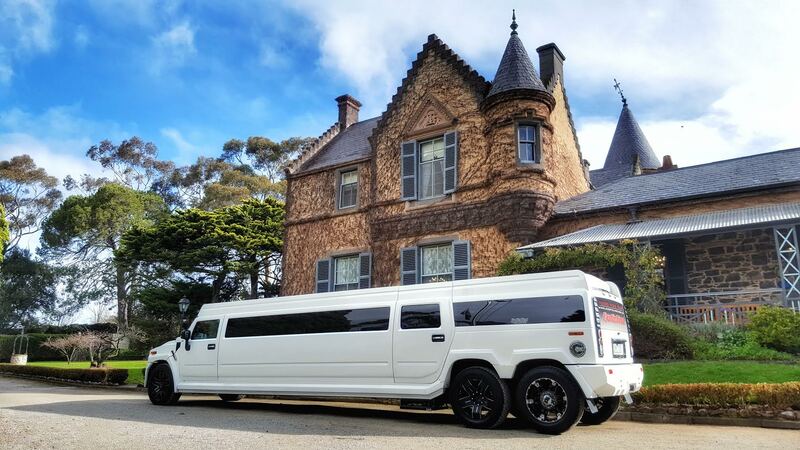 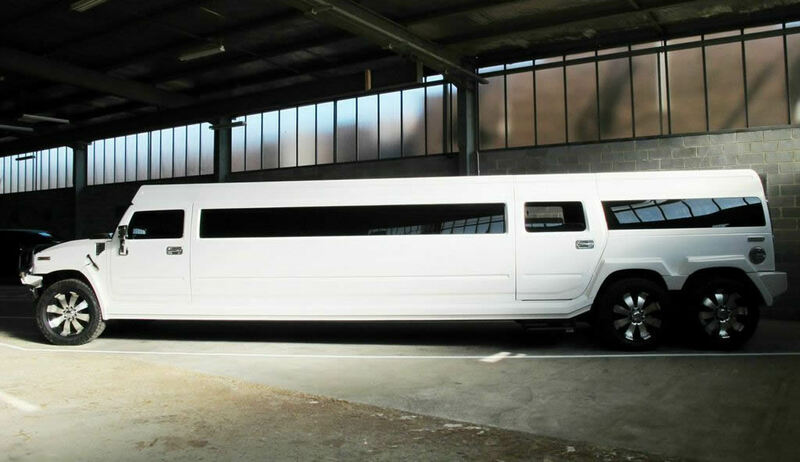 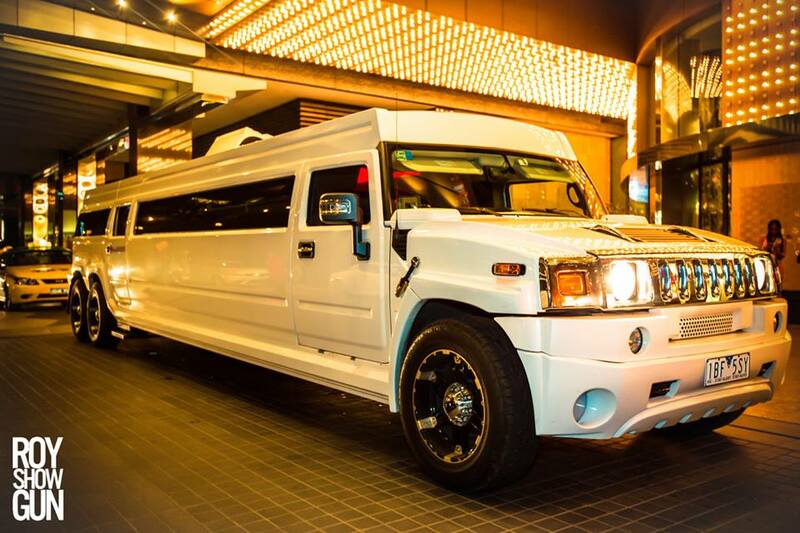 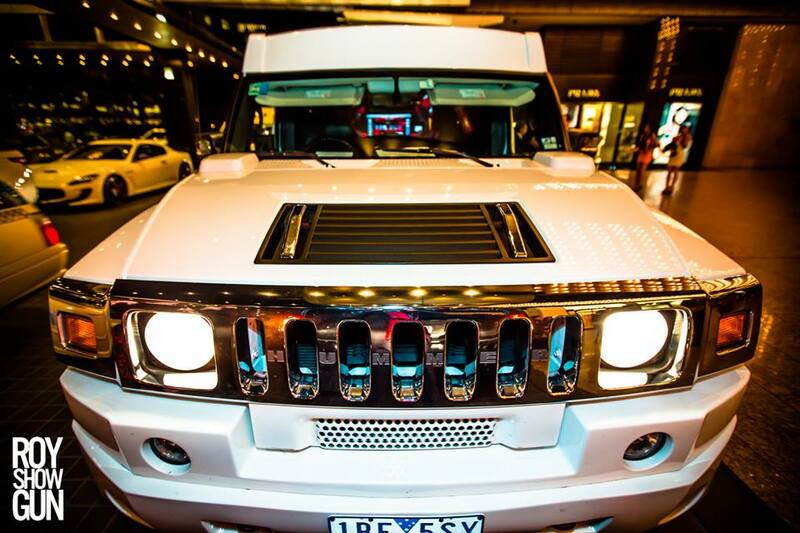 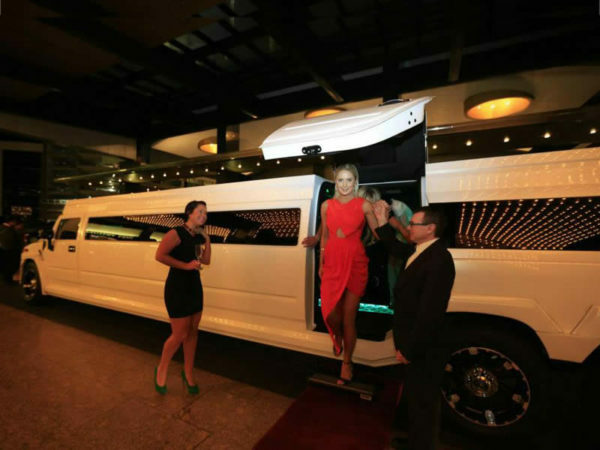 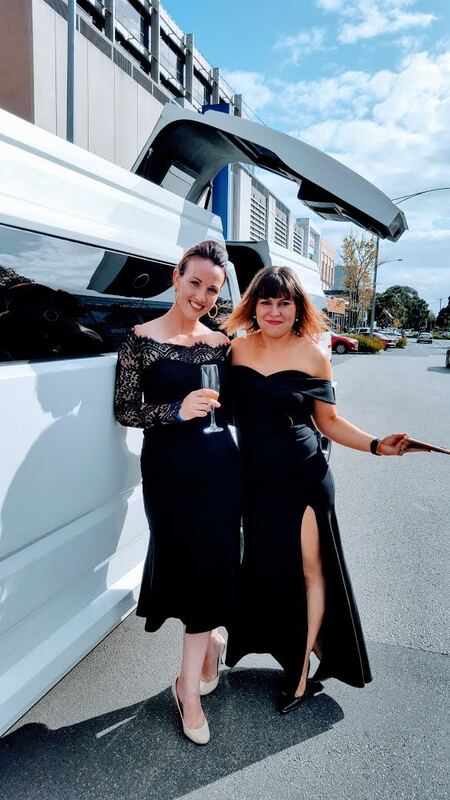 Exotic Limo are proud to introduce to our Melbourne based clients and customers a truly magnificent feat of automobile engineering – the 22 passenger stretch White Lion Hummer limousine – the worlds second largest limousine! 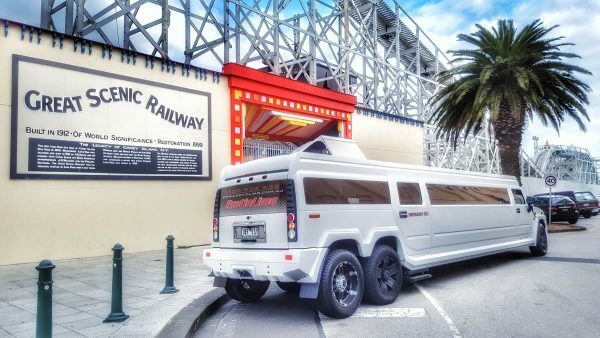 Fresh to our country from the city that knows how to have a good time “Las Vegas, US“, our latest road warrior is a show-stopping 13 meters in length and weighs a whopping nine tons when fully loaded up with party people! Wowee! 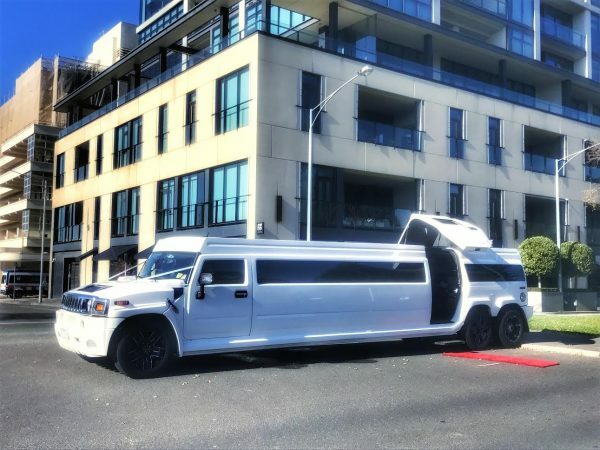 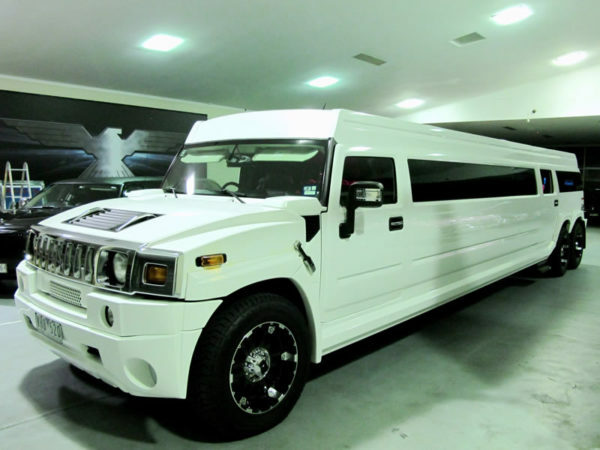 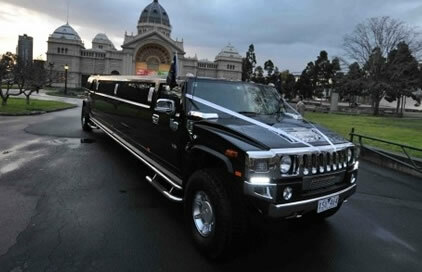 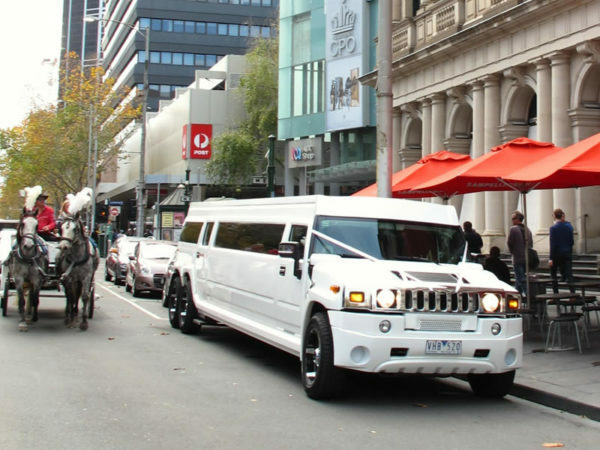 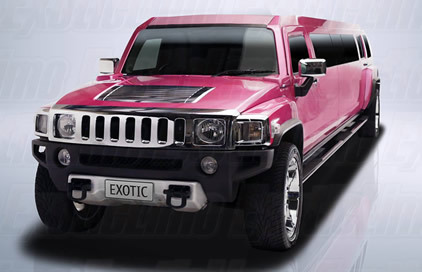 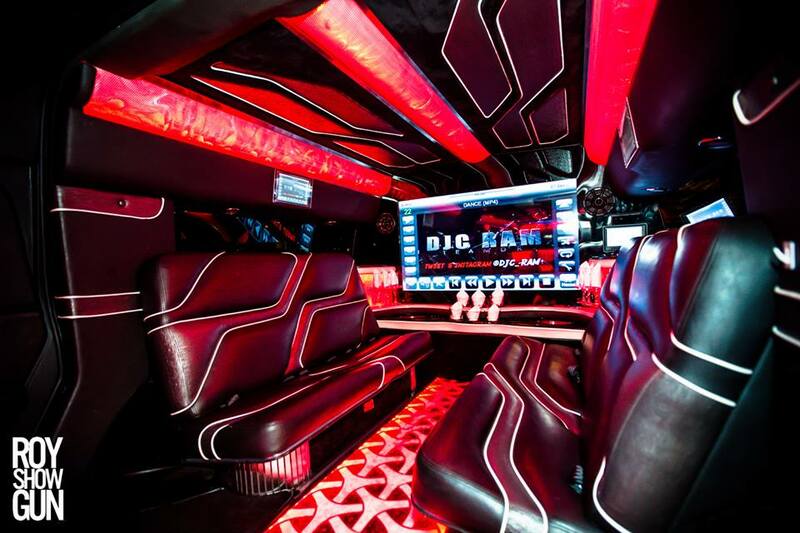 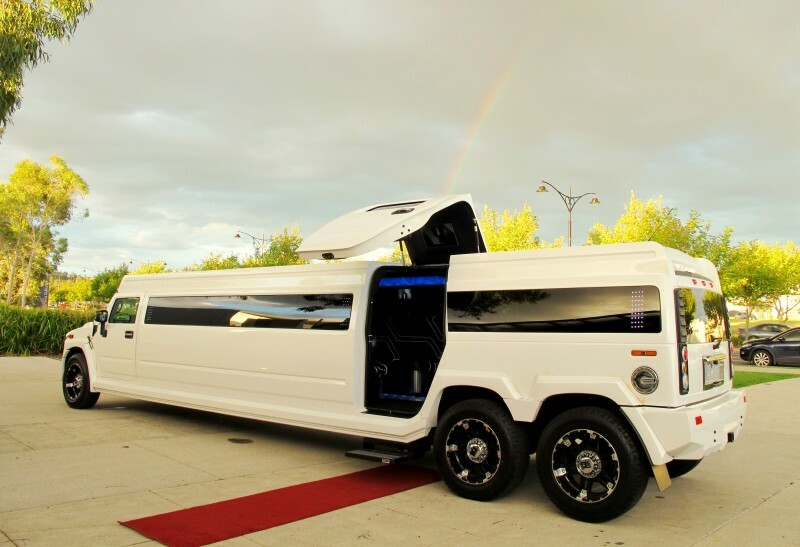 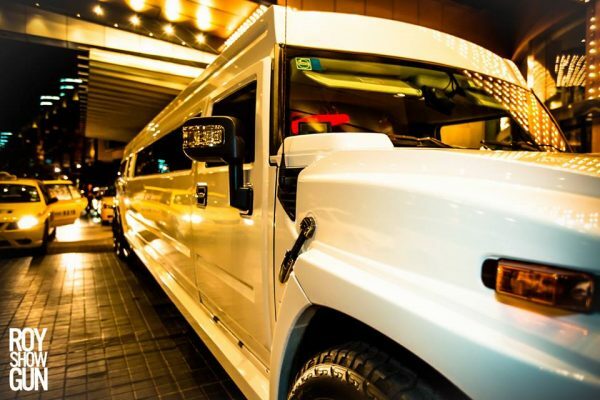 If you’re thinking of hiring a Hummer limousine, go BIG TIME this time! 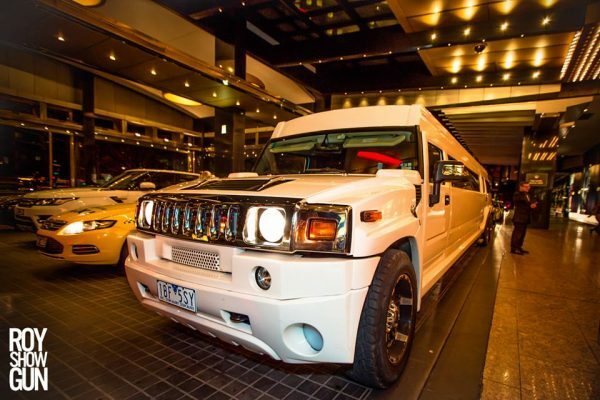 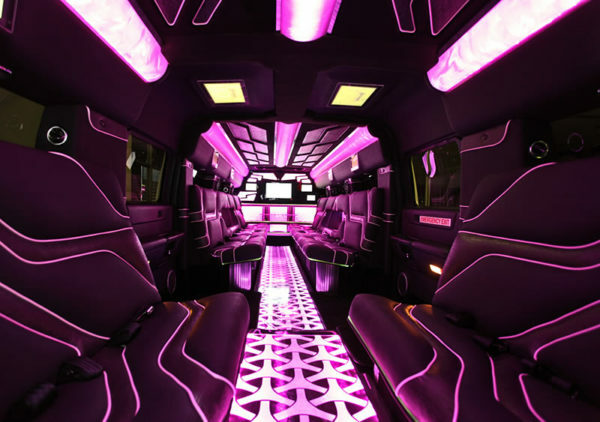 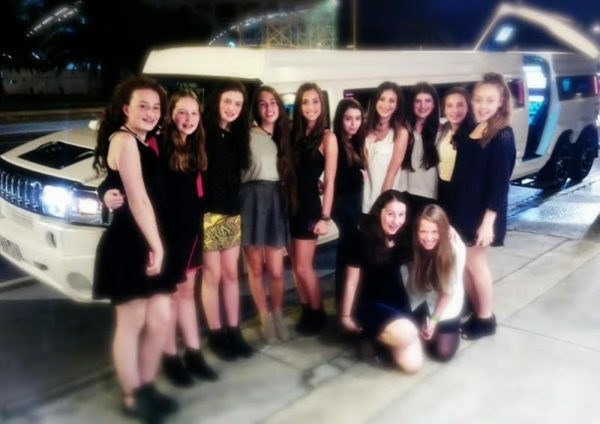 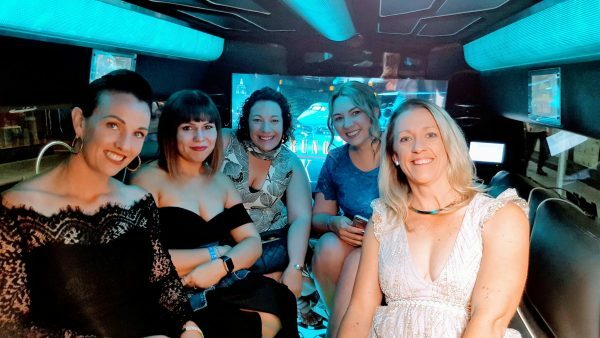  Trust us when we say there are more lasers and neon lighting in the 22 passenger snow-white stretch Hummer limousine than in all of the nightclubs around Melbourne! 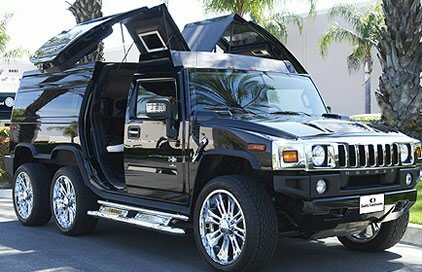 Rest assured, the Hummer is so jammed packed full of fun it will be difficult for you to want to leave when the double jet wing doors open up for that final time. 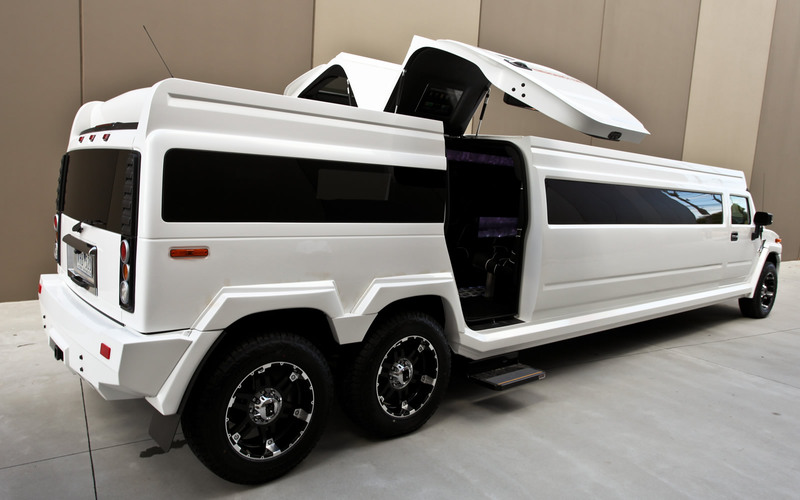 Australia has never seen anything like this FIRST-CLASS airplane on wheels. 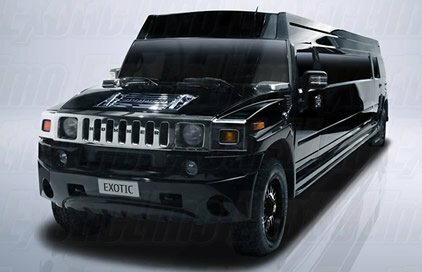 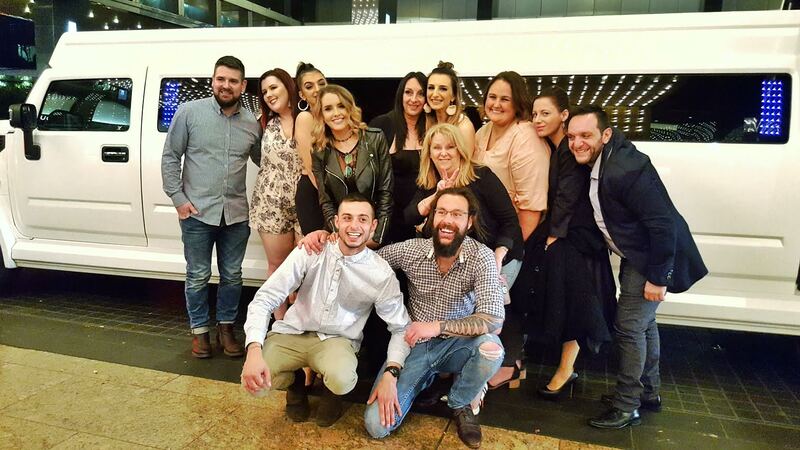 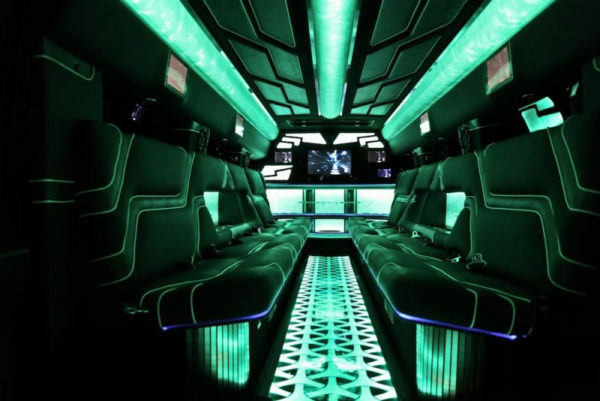 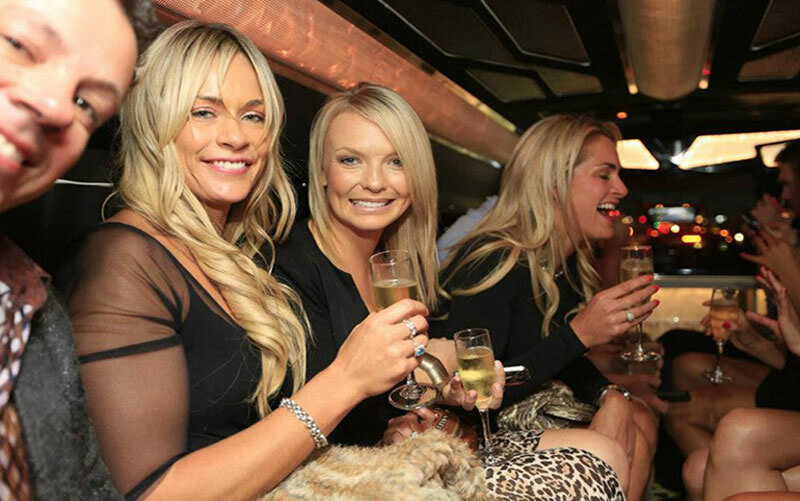 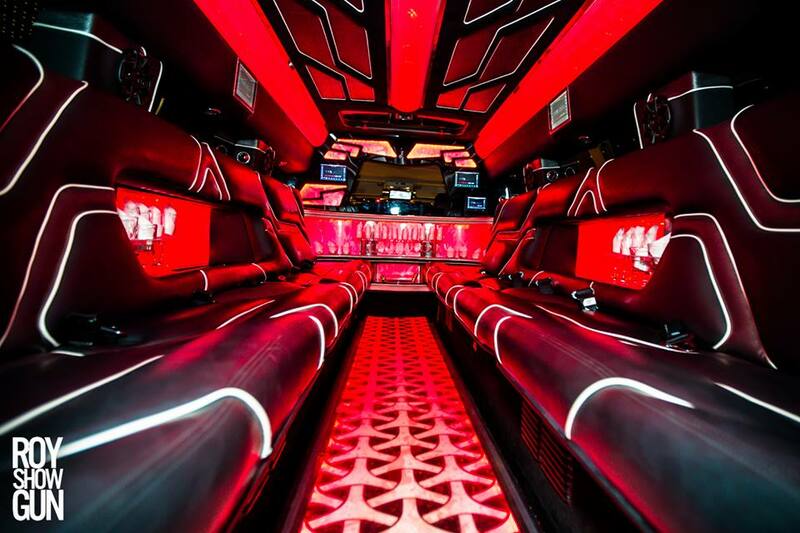 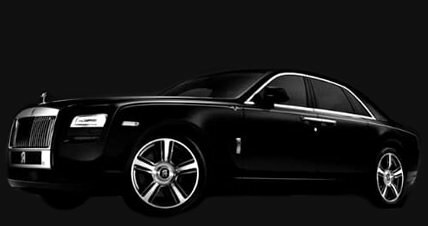 With an incredible 10 HD Flat Screen TV’s and 4 separate champagne bars; disco ceiling AND floors PLUS a cordoned off velvet rope VIP section – Exotic Limo are excited to offer our customers the loudest, longest, and most impactful party machine on six wheels! 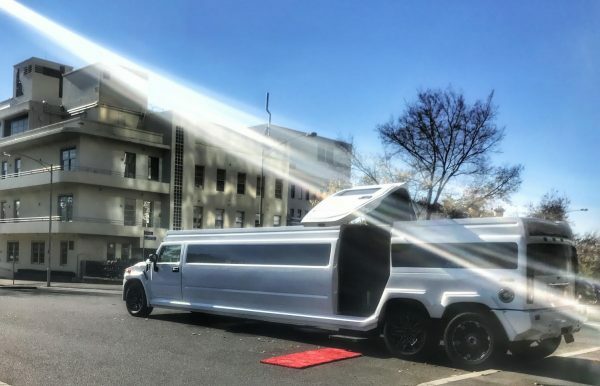 If you need to rock, salute to this. 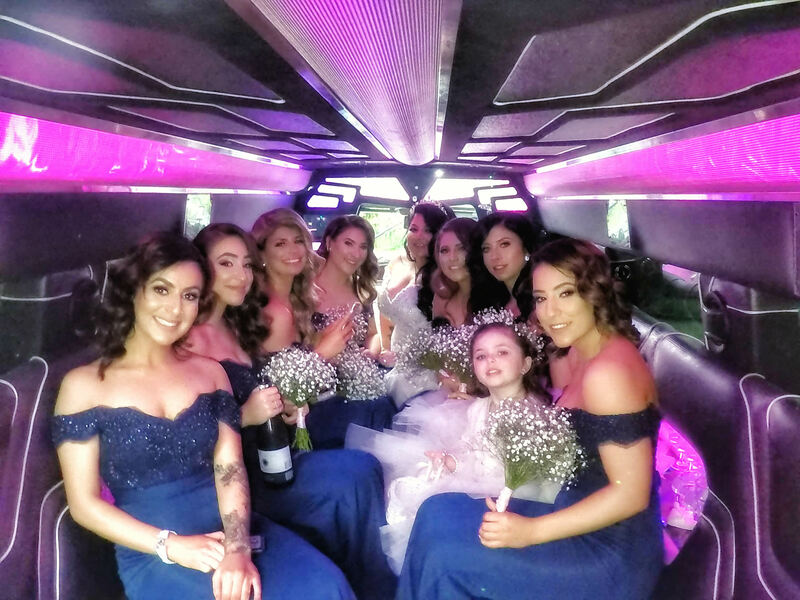 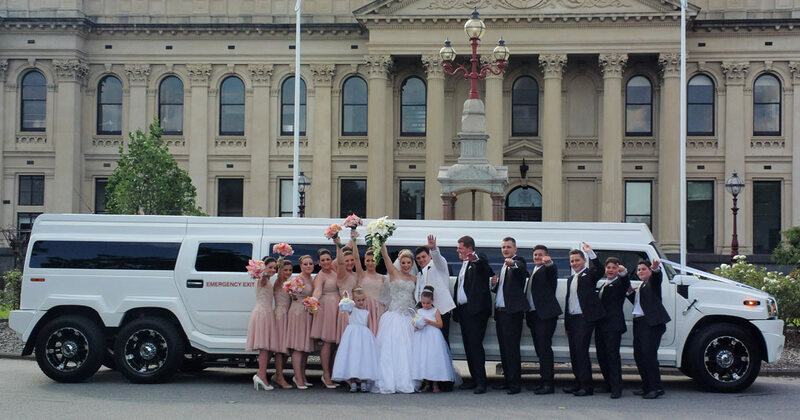 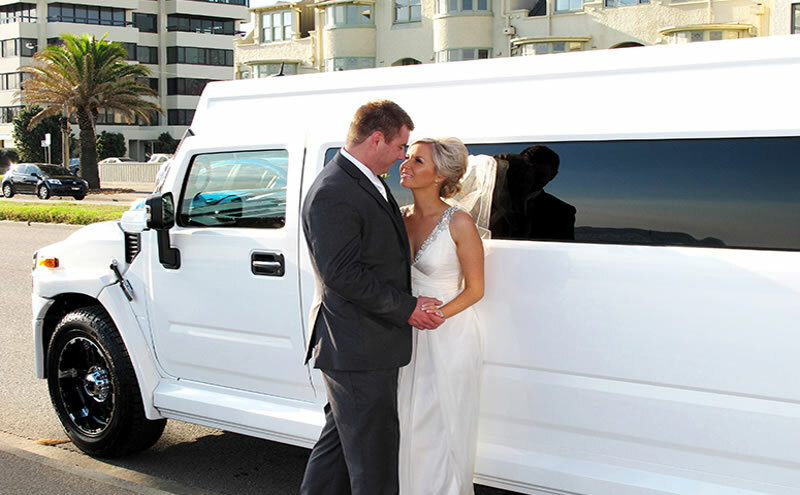 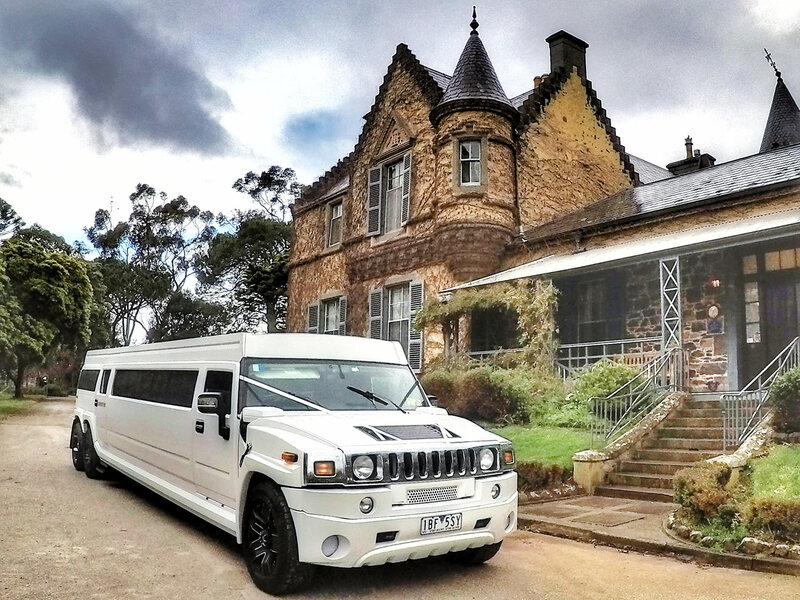 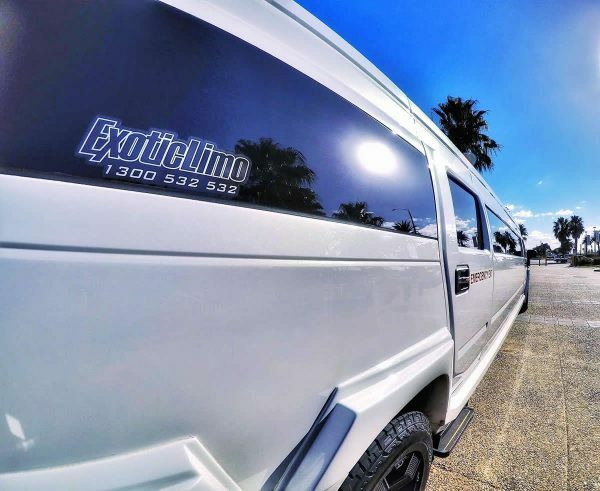 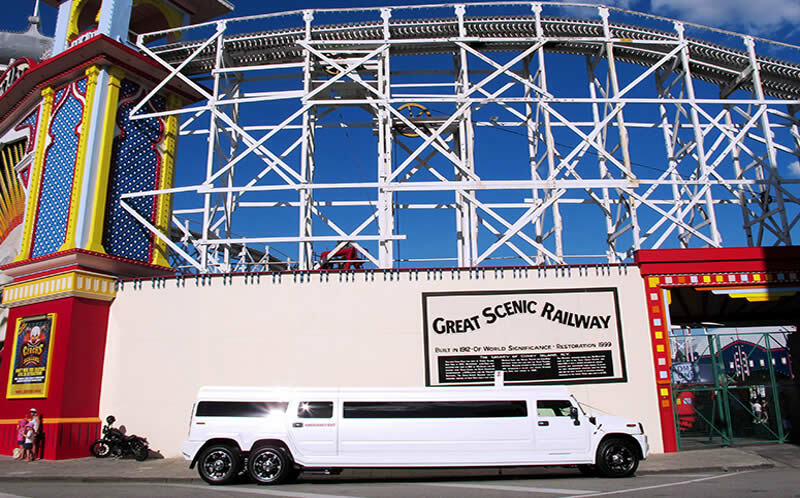 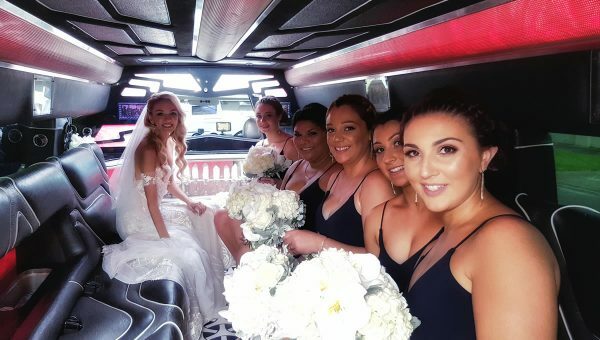 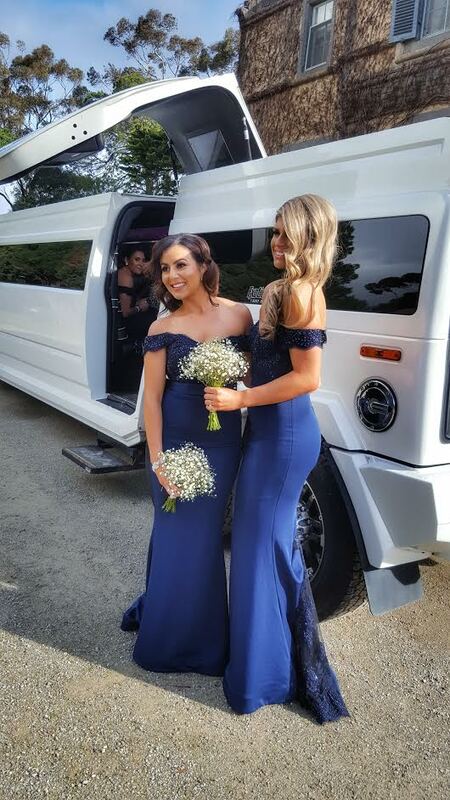 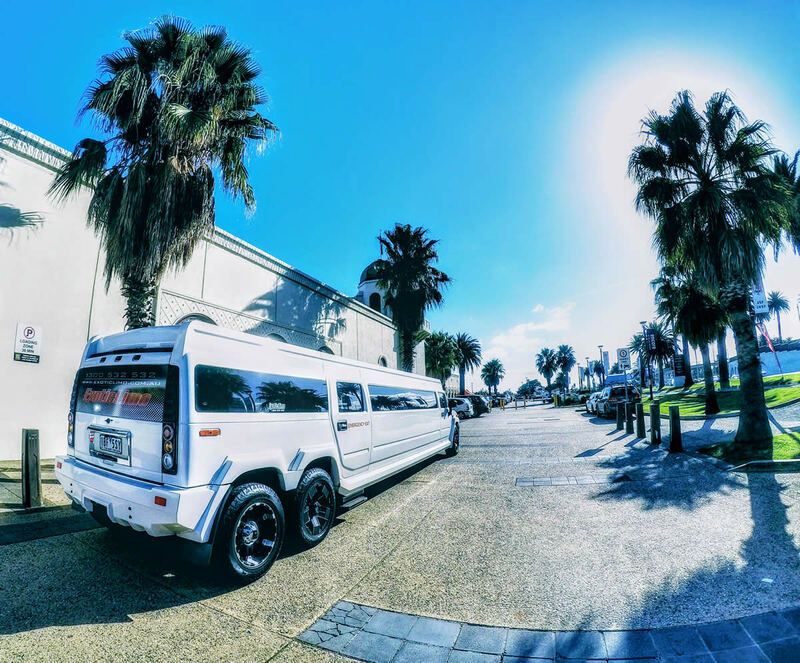 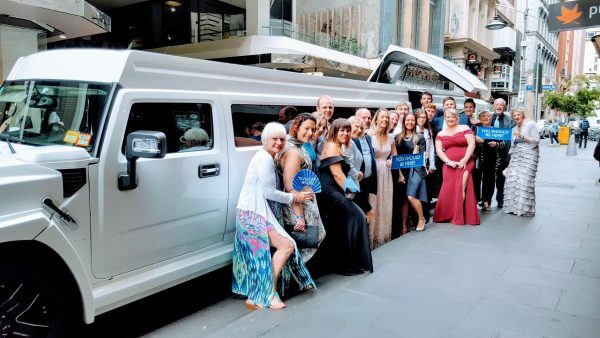 The 22 passenger stretch White Hummer has become a popular choice for couples on their special day due to the size of the modern day wedding party outgrowing the standard sized stretch limousines. Other advantages include keeping ALL the party together throughout the day, you can save on costs of booking two or more limousines, everyone can be entertained throughout the day with the fully integrated onboard entertainment system, and you can utilise the amazing 4 separated bars to eat and drink the day away as you travel around Melbourne between residences to churches, photo locations and reception centers. This iconic limousine is the perfect chariot for any modern wedding, and scrubs up nicely in the photos too!